At Stingray Chevrolet, we offer drivers around Lakeland and Valrico access to an extensive and affordable selection of certified pre-owned Chevrolet models for sale in Plant City, FL. There are a number of benefits to buying certified pre-owned vehicles, but the chief incentives are that certified pre-owned Chevy vehicles receive extensive inspections to ensure they operate at peak performance and are in like-new condition. To guarantee your investment, each Chevrolet CPO vehicle offers a factory limited warranty and roadside assistance for 6 years or 100,000 miles. At Stingray Chevrolet, we offer each and every one of our valued clients access to a superb financing package that’s custom-tailored to your specific financial situation. Whether you have great credit or less-than-stellar credit, you’ll be well-equipped to purchase or lease the best Chevy vehicle for your driving needs. And with a rotating list of used car vehicle specials, you never know what kind of deal you might find. Apply for financing today! Have additional questions or just want to learn more about our CPO program? 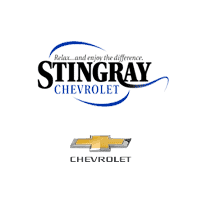 Contact us today at Stingray Chevrolet to get in touch with our knowledgeable team of associates. CARFAX One-Owner. Silver Ice Metallic 2019 Chevrolet Suburban LT RWD 6-Speed Automatic Electronic with Overdrive V8 12-Volt Auxiliary Power Outlet (5), 1st & 2nd Row Color-Keyed Carpeted Floor Mats, 2nd Row 60/40 Split-Folding Manual Bench, 3rd Row Manual 60/40 Split-Folding Fold Flat Bench, 4-Wheel Antilock Disc Brakes, 6-Way Power Front Passenger Seat Adjuster, ABS brakes, Alloy wheels, Auto-Dimming Inside Rear-View Mirror, Black Assist Steps, Bose Premium Audio System Feature, Color-Keyed Carpeting Floor Covering, Compass, Driver Inboard & Front Passenger Airbags, Electronic Cruise Control w/Set & Resume Speed, Electronic Stability Control, Enhanced Driver Alert Package, Extended-Range Remote Keyless Entry, Floor Console w/Storage Area, Forward Collision Alert, Front dual zone A/C, HD Radio, Heated door mirrors, Heated Front Reclining Bucket Seats, Heated front seats, Illuminated entry, IntelliBeam w/Automatic High Beam On/Off, Lane Keep Assist w/Lane Departure Warning, Leather-Wrapped Steering Wheel, Low Speed Forward Automatic Braking, Low tire pressure warning, Memory Settings, Navigation System, Power Liftgate, Power-Adjustable Accelerator & Brake Pedals, Preferred Equipment Group 1LT, Premium Smooth Ride Suspension Package, Rear Park Assist w/Audible Warning, Remote keyless entry, Remote Vehicle Start, Roof-Mounted Luggage Rack Side Rails, Safety Alert Seat, SiriusXM Radio, Traction control, Universal Home Remote.Recent Arrival! Odometer is 1182 miles below market average!Visit our virtual showroom 24/7 @ www.stingraychevrolet.com. CARFAX One-Owner. Clean CARFAX. Onyx Black 2018 GMC Yukon XL SLT 4WD 6-Speed Automatic Electronic with Overdrive EcoTec3 5.3L V8 4-Wheel Antilock Disc Brakes, 5 Auxiliary 12-volt Power Outlets, Black Assist Steps w/Chrome Strip, Enhanced Driver Alert Package, Forward Collision Alert, Hands Free Power Liftgate, Heated Leather-Wrapped Steering Wheel, Inside Rear-View Auto-Dimming Mirror, IntelliBeam Automatic High Beam On/Off Headlamps, Lane Change Alert w/Side Blind Zone Alert, Lane Keep Assist w/Lane Departure Warning, License Plate Front Mounting Package, Low Speed Forward Automatic Braking, Memory Package, Navigation System, OnStar 4G LTE, OnStar Basic Plan For 5 Years, Passive Entry System, Power Release 2nd Row 60/40 Split-Folding Bench Seat, Power Tilt & Telescopic Steering Column, Power-Adjustable Pedals For Accelerator & Brake, Preferred Equipment Group 4SA, Premium Smooth Ride Suspension Package, Push Button Keyless Start, Rear Cross-Traffic Alert, Remote Keyless Entry, Universal Home Remote.Recent Arrival!Visit our virtual showroom 24/7 @ www.stingraychevrolet.com. Ward's 10 Best Engines. Only 4,906 Miles! Scores 29 Highway MPG and 16 City MPG! Carfax One-Owner Vehicle. Dealer Certified Pre-Owned. This Chevrolet Corvette delivers a Gas V8 6.2L/376 engine powering this Automatic transmission. ZF1 APPEARANCE PACKAGE includes (Q7S) 5-split spoke, Silver-painted aluminum, 19 front and 20 rear wheels, (XFJ) P245/35ZR19 front and P285/30ZR rear, performance summer-only tires and body-color Z51-style spoiler, WHEELS, BLACK ALUMINUM 19 x 8.5 (48.3 cm x 21.6 cm) front and 20 x 10 (50.8 cm x 25.4 cm) rear, TRANSMISSION, 8-SPEED PADDLE SHIFT WITH AUTOMATIC MODES. *This Chevrolet Corvette Comes Equipped with These Options *CARBON FIBER DUAL ROOF PACKAGE includes (C2Z) visible carbon fiber roof panel with body-color surround and (CC3) transparent roof panel , SPOILER, REAR AND OUTSIDE MIRRORS, CARBON FLASH-PAINTED, SEATS, GT BUCKET (STD), REMOTE VEHICLE STARTER SYSTEM, REAR AXLE, 2.41 RATIO, LIMITED-SLIP, PERFORMANCE DATA AND VIDEO RECORDER, JET BLACK, PERFORATED MULAN LEATHER SEATING SURFACES, EXHAUST, PERFORMANCE increases to 460 horsepower, aggressive exhaust sound, with 4 polished stainless-steel tips, ENGINE, 6.2L (376 CI) V8 DI (455 hp [339.3 kW] @ 6000 rpm, 460 lb-ft of torque [621.0 N-m] @ 4600 rpm) (STD), DAYTONA SUNRISE ORANGE METALLIC. * Feel Confident About Your Choice *According to Carfax's history report: Carfax One-Owner Vehicle, No Damage Reported, No Accidents Reported, 11 Service Records. * The Votes are Counted *Ward's 10 Best Engines, KBB.com Best Buy Awards, KBB.com Best Resale Value Awards. * Expert Reviews! *As reported by KBB.com: If you relish the idea of owning one of the best performance-car bargains of the last 50 years, but without feeling shortchanged, you're going to love the 2015 Chevrolet Corvette Stingray. For the Z06, you'll love it if you like performance that crushes European exotics costing twice as much. * Visit Us Today *For a must-own Chevrolet Corvette come see us at Stingray Chevrolet, 2002 N Frontage Rd, Plant City, FL 33563. Just minutes away! CARFAX One-Owner. Clean CARFAX. Orange 2019 Chevrolet Corvette Z06 1LZ RWD 8 Speed Paddle Shift with Automatic Modes V8 Head-Up Display, Preferred Equipment Group 1LZ.Recent Arrival!Visit our virtual showroom 24/7 @ www.stingraychevrolet.com. CARFAX One-Owner. Summit White 2018 Chevrolet Express 2500 Work Van Cargo RWD 8-Speed Automatic with Overdrive 4.3L V6 Preferred Equipment Group 1WT.Recent Arrival! Odometer is 4305 miles below market average!Visit our virtual showroom 24/7 @ www.stingraychevrolet.com. CARFAX One-Owner. Summit White 2018 Chevrolet Express 2500 Work Van Cargo RWD 8-Speed Automatic with Overdrive 4.3L V6 Preferred Equipment Group 1WT.Recent Arrival! Odometer is 1236 miles below market average!Visit our virtual showroom 24/7 @ www.stingraychevrolet.com.